Multiple news outlets have reported that the Washington State Department of Corrections (DOC) “quietly” rolled out a new policy banning nonprofits from sending books to people in prisons. 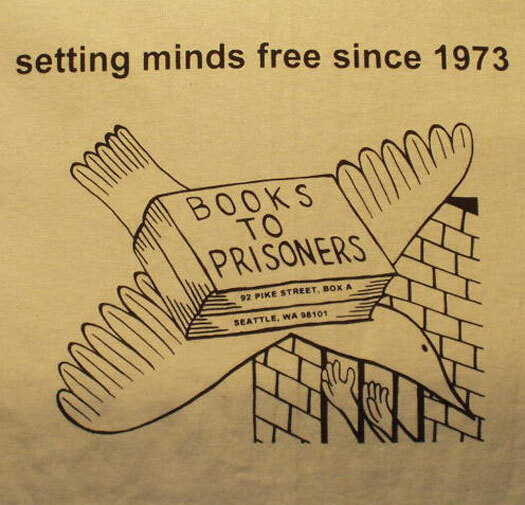 The memo was published on March 12th, but went into effect on March 25th, much to the surprise of Books to Prisoners, a nonprofit that’s been sending books to Washington prisons for 45 years. Volunteer Michelle Dillon told the Seattle Times that the organization was getting an increasing number of rejections and didn’t know why, until they looked on the DOC website and found the memo. They’re not taking it so quietly. The nonprofit and its supports have taken to Twitter, where the public chimed in en masse. For days, they’ve been tweeting, emailing, circulating a petition, jamming government phone lines, and asking for support from Governor Jay Inslee and others. DOC’s stated justification was, “Currently our facility mailrooms do not have the resources to conduct such thorough review and inspections and contraband into our facilities is escalating at a high rate.” DOC said that people in prison could still access books through the library and the institution’s approved, accredited bookstore. Given that we’ve sent books without issue since 1973, and currently send to 12,000 unique prisoners across almost every state in the country each year, it would be bewildering if after 46 years of work as an award-winning nonprofit we decided to start transporting contraband. As of June 2018, a little over 18,000 people were incarcerated in Washington state. That rate has been rising steadily since at least 1970, except a small drop from 2010–2012. It appears Gov. Inslee, who is running for president and has previously supported books in prisons, would like his DOC to reverse the policy as well. “I’m going to make sure DOC endeavors to find some solution to this problem,” he said. In prison, where incarcerated people are degraded and stripped of personal value, books offer a path back to society, a sense of self, a way back to humanity. None of us—no matter which side of the wall we stand on—can afford what bans on books in prison seem to suggest: that our incarcerated community members are no longer human. That they will only resume being human when, and if, they return home. PEN America runs its own programs to help people in prison access books, writing commissions, and other opportunities. A who’s-who of economists and planners has issued a call to state and local governments to refuse to divert tax dollars from public services to feed Amazon and to instead compete solely based on the underlying strengths of their communities.